Have you been looking for some of the good old basic Wayfarer Sunglasses only with Yellow Lenses for high contrast and night driving. Well look no further folks, for here is your ticket. 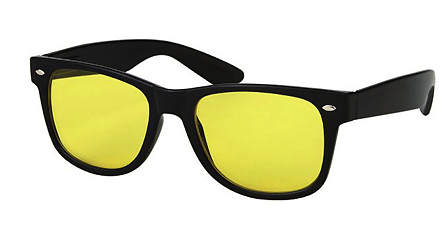 Wayfarer Frame with Yellow Lens UV 400 High Contrast lenses. Its all good and at a price that wont set your wallet on fire.